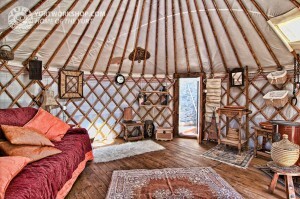 Our good friends over at the Yurtworkshop make some of the most beautiful yurts available in Europe. They not only supplied out 2 spectacular Cloud House yurts, custom made to order, they also supply customers all over Europe and beyond which has given them the experience, in our opinion, to build the best yurts possible. With incredible attention to detail, constant testing and refinement their yurts were and remain to be the best on the market. 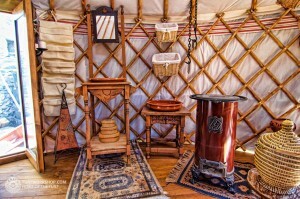 We’re proud to have partnered with the Yurtworkshop, THE finest Yurt Maker’s in Spain. For more details please contact them here. We have a healthy following of like minded Cloud House fans who receive our ‘occasional news letters’, packed full of tips & ideas for “off grid living the good life”. Plus for returning customers we’ll give you a full 5% discount off your booking.